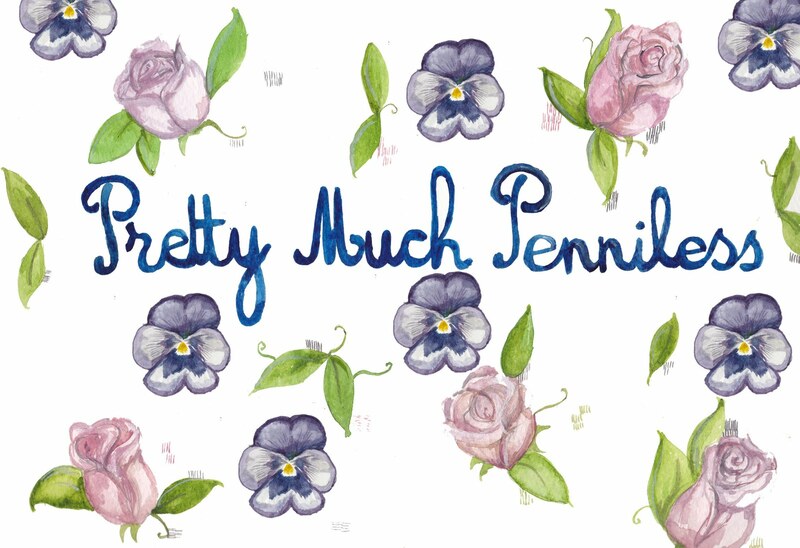 So today I had a very boring and rather un-artfilled day, but i finished the wonderful Pretty much penniless Blog title, im really happy with it and i hope Ellie is too. I also had some great news today that i got a job at accessories to be a part-time sales assistant, im pretty nervous about this coz i can be really shy but I’m gonna try my best with it. Imagine the discount though :), see the reason why i was so desperate to get the job was so i could save to move back to falmouth with my boyfriend and do my MA now that i will be earning i will be able to save for my MA, hopefully more commissions will roll in with time and my etsy shop i will make more money and be able to live my dreams out. hello! 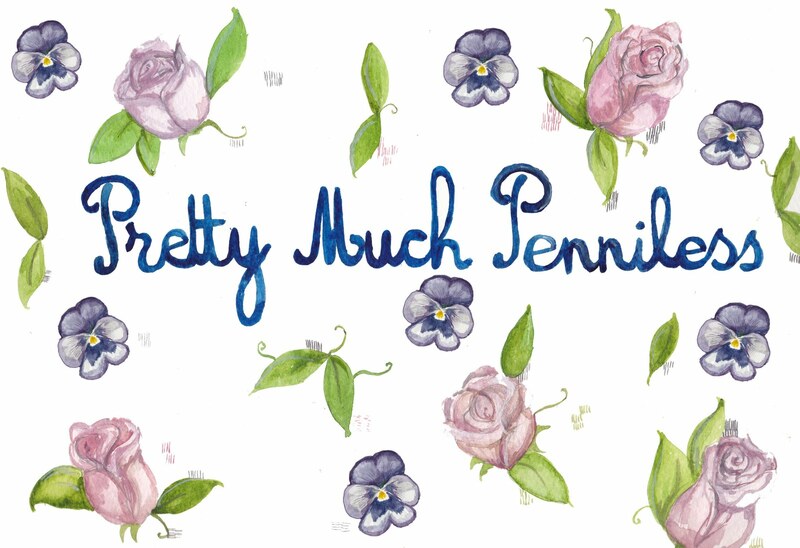 your blog is so lovely, and I just had a look at your etsy shop – your illustrations are so beautiful! you should definitely study an MA, I hope I can afford to one day too! wicked, well done on getting the job! aww im made up for you ! what a great place to work too – hello discount ! 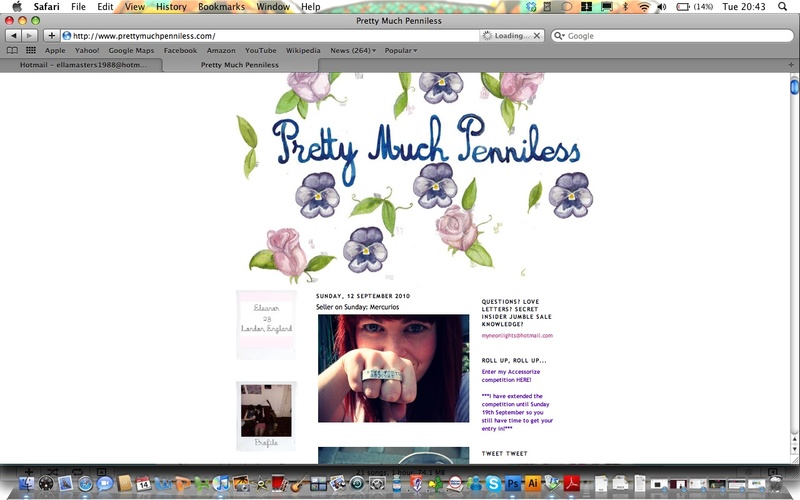 your blog is so sweet !